The Avery Weigh-Tronix 1080 indicator is ideal for panel mount applications where size and connectivity to industrial networks are important. The indicator features Ethernet/IP™, ProfiBus, ModBus/TCP and DeviceNet™ as standard, with two serial ports and a USB device port. 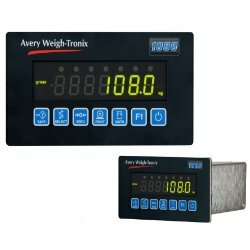 The Avery Weigh-Tronix 1080 indicator/controller from Avery Weigh-Tronix is ideal for panel-mount applications where size and connectivity to industrial networks are important. The crisp, bright LED display has easy-to-read weight digits and an array of status annunciators. Configurable digital vibration filtering is built-in, providing stable readings in the toughest environments. The 1080 includes a suite of operational applications that can be enabled at time of installation. With the application determined, choose the communication and control technology from the vast number of standard methods available on the 1080. Configurable print formats allow the 1080 to interface with a variety of printers (including label printers) and remote displays. Easy to use in general weighing applications, the Model 1080 combines the capabilities of process control interface and data management. Uncomplicated, the 1080 provides process control and data management to most standard and customconfigured weighing platforms using bench and floor scales. With the advantage of the built-in network interfaces (Ethernet 10/100, PROFIBUS® and DeviceNet), the indicator/controller is ideally suited for sharing data in tank weighing and truck scale applications. In addition to offering these interfaces, the 1080 connects to printers, remote displays, computers and SensorComm, the Avery Weigh-Tronix microprocessor-based digital junction box. An additional feature is the 1080's bright LED display with 0.56" (14 mm) digits, which allows operators to view weights with a quick glance. Batching routines: The 1080 can provide ingredient control through PLC interface or set point control. Counting routines: The 1080 can display the number of pieces or average piece weight along with gross, net or tare weights. Peak weight: If a maximum weight reading is required, the 1080 can capture and display the peak measurement of stable weights. Process control: The indicator is equipped with three setpoint controls to interface with relays for automated mixing or blending operations. The Model 1080 can serve as a remote display in applications where weights must be read in two locations. Weight information can be transmitted to peripheral printers and/or computers through the indicator's dual communication ports. 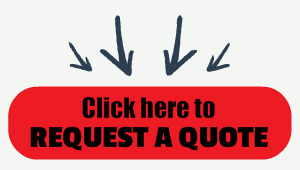 Information format may be customized and can include time and date. An IP65-rated (NEMA 4X) enclosure when panel mounted ensures reliable, continuous operation in dusty environments. An optional remote foot control can be added for improved efficiency in common "lift and weigh" applications, giving the operator hand-free control of common scale functions (Zero, Print, Tare, Units or F-1).